What discounts do you offer on your jewellery? What are your normal opening hours? Which stores are you located near? In the Resorts World Birmingham Outlet you can find us opposite H&M. In the Bridgend outlet, you can find us next to Starbucks and the Food Court. In the Cheshire Oaks Outlet you can find us near Holland and Barrett and Patisserie Valerie. Since they are all discontinued items, there will only be limited stock of each piece. For this reason, if you see something you like on the day you should buy it there and then. It may not be there the next time you visit the store! What do your stores look like? How many items do you sell in each store? 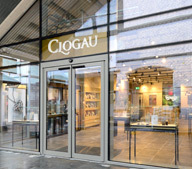 When did the Clogau Outlet stores open? The Birmingham store opened on 4th November 2015, the Bridgend Outlet store opened on 30th October 2009, and the Cheshire Oaks store opened on 26th November 2011. 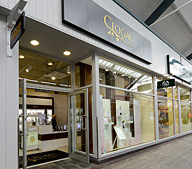 How can I be kept informed of the latest Clogau sale items? Join our free email newsletter to be the first to hear about sale items, new items, news and offers. (Your information is only used by us, and is never shared with third parties).